The 2019 e-Crafty is the third generation of Mondraker's best-selling full suspension e-MTB. Featuring the Bosch integrated Powertube 500Wh battery powering the Performance Line CX motor. The Stealth Alloy frame has updated Zero Suspension kinematics with 150mm of rear travel. With 27.5+ wheels it is fast rolling all-mountain platform running larger tyres which deliver better traction under the added power from the motor to propel you faster, for longer, covering more ground in less time. The e-Crafty R+ runs on all new suspension for 2019, featuring Fox 36 Rhythm GRIP e-bike optimized forks and a Fox DPX2 LV Performance Trunnion mounted rear shock. Further improvements include a DT Swiss wheelset and an 11 Speed SRAM drivetrain, which are great additions for versatile all mountain riding. 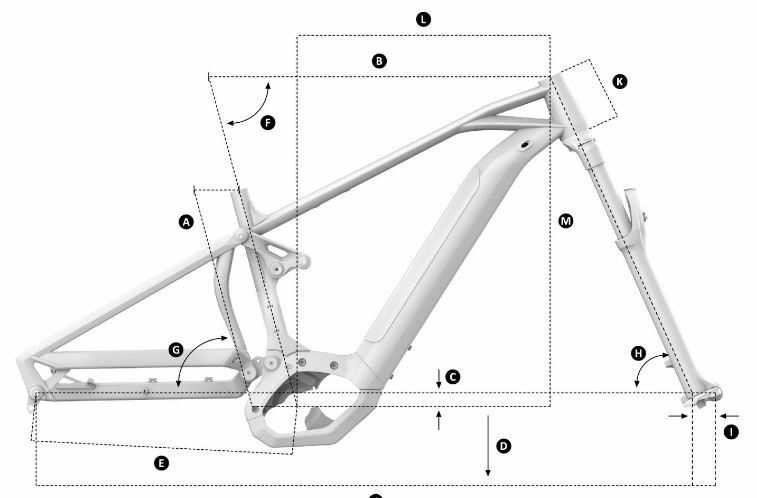 View the Mondraker Size Guide.